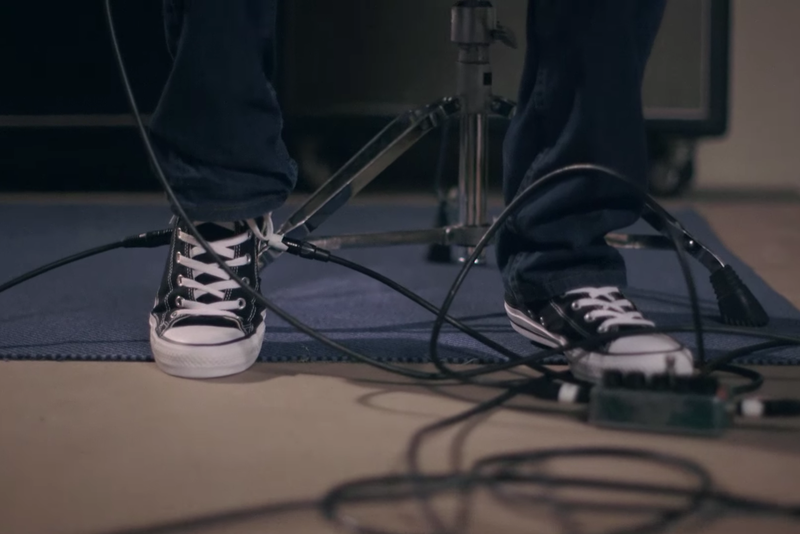 Whoa: Converse Unveils A Shoe With A Wah Pedal Built In – This Demo Is Unreal! 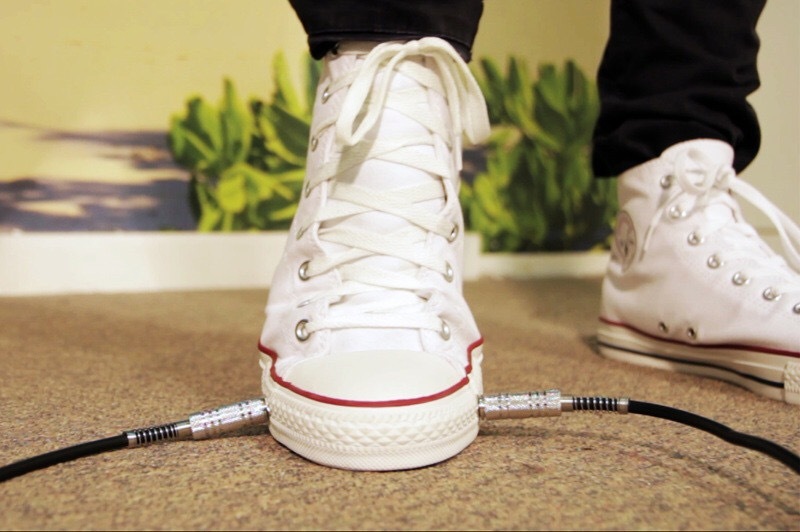 The future of wah pedals is now, and it was built by Converse. 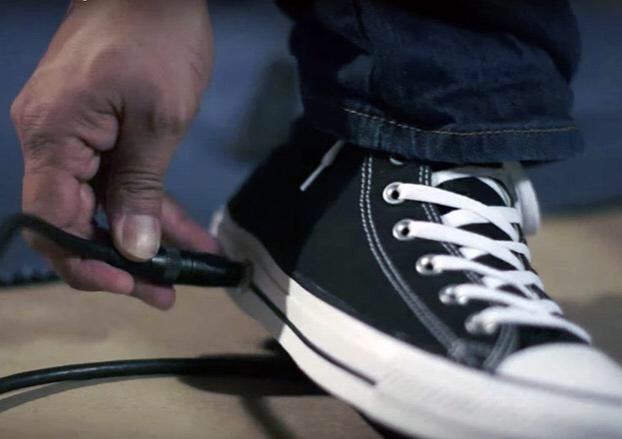 Gear Gods just let us know that after years of researching and prototyping, Converse unveiled a new Chuck Taylor shoe with a wah pedal built in. The shoe was a result of a collaboration between the shoe company, design firm Critical Mass and technological fashion company Cute Circuits. 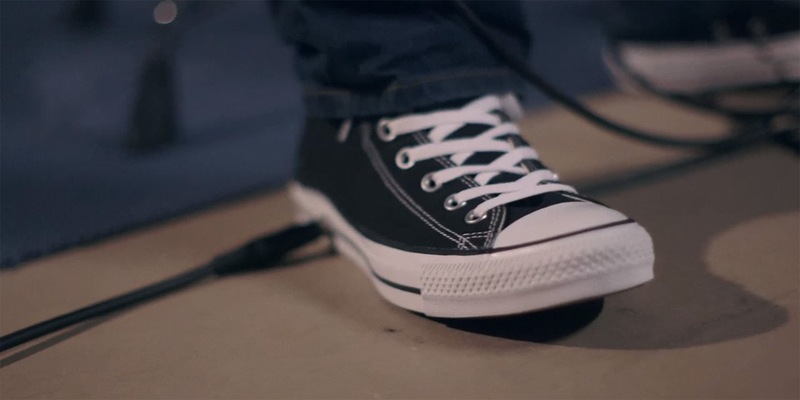 An actual wah micro-sensor is built into the sole of the shoe, which detects the flex and then communicates wirelessly with a Wah box via Bluetooth to make the sound. It works with any amp, iPhone or Mac. Here are two videos, the first shows the old prototype and the design process and the second is Dinosaur Jr.’s J Mascis testing things out. 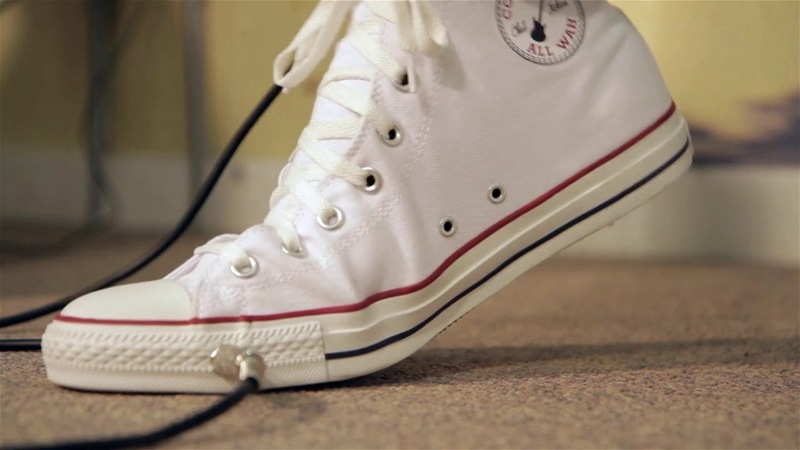 New Converse Sneaker Engineered With Built-in Guitar Pedal!